Dr. Darren Orbach is the Chief of Neurointerventional Radiology and Co-Director of the Cerebrovascular Surgery and Interventions Center at the Boston’s Children’s Hospital. He also serves as an Associate Professor of Radiology at Harvard Medical School. Dr. Orbach received his BA from Princeton University, his MD from Cornell University Medical College, and his PhD from Rockefeller University. He completed a seven-year combined training program in neurology, diagnostic radiology and neuroradiology, followed by a neurointerventional radiology fellowship, all at New York University Medical Center. He is board certified in diagnostic radiology, neuroradiology and neurology. 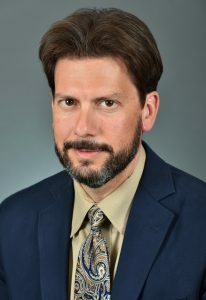 Dr. Orbach’s basic research revolves around the development of a high-speed MR technique for directly imaging rapid neuronal activity. This stands in contrast to all current functional neuroimaging techniques, which assess changes in local cerebral metabolism or blood flow. The high-speed MR technique is currently being used to help further the understanding of the pathophysiology of various epilepsy syndromes.